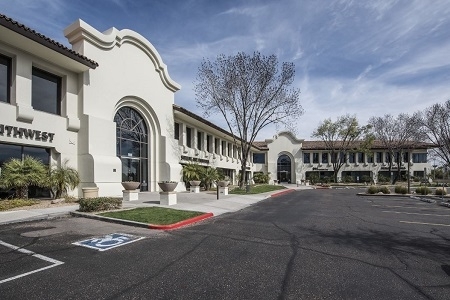 Seville Professional Center is a two-story office building totaling 92,581 square feet located at 7001 North Scottsdale Road in Scottsdale, Arizona. The Class A office building is situated on +4.005 net acres and is leased to a broad mix of entrepreneurs, investment-grade and blue chip tenants. Seville Professional Center was built in 1990 and enjoys access to the adjoining Scottsdale Seville Shopping Center offering the best in restaurants, bars, boutiques, and luxury services. EverWest acquired the property in September 2017.